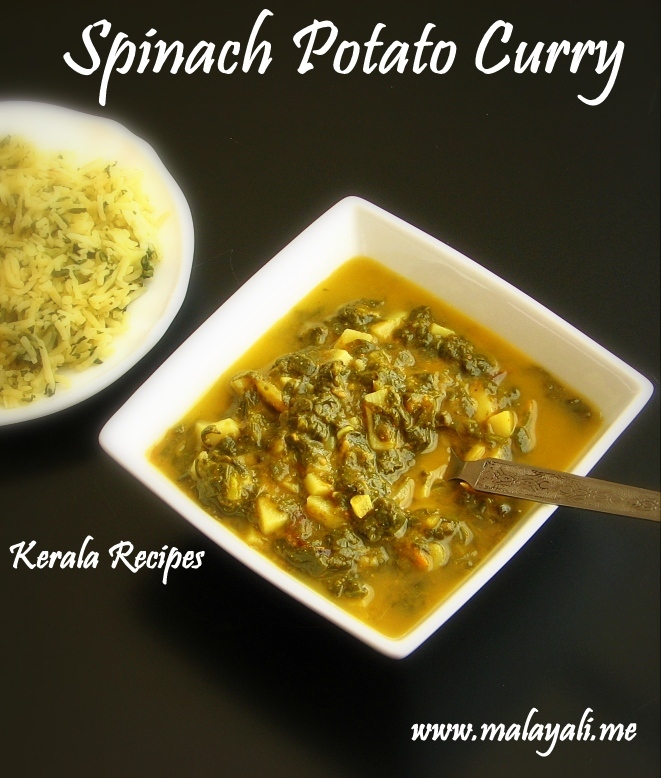 Spinach Potato Curry is a well-known North Indian dish. It is a wonderful way to incorporate fresh greens into your diet. 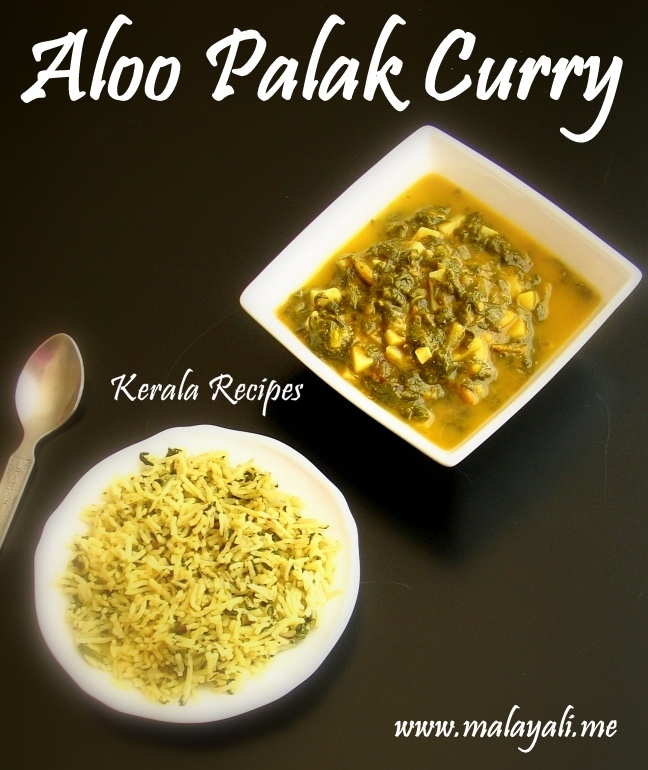 I make this delicious Aloo Palak Curry when I get fresh spinach from the market. Spinach is usually cooked and then pureed for getting a thick gravy. However, I find the taste of pureed spinach a bit strong and so I prefer to use chopped spinach. Spinach has a high nutritional value and is rich in antioxidants. It is high in iron and folic acid. I have used Baby Spinach in this recipe. Baby spinach is regular spinach which is harvested within 15-35 days after planting. The leaves of Baby Spinach are smaller and sweeter in comparison with the fully mature spinach leaves. Wash the spinach thoroughly and allow it to drain in a colander. Chop it into small pieces. Heat oil in a saucepan and saute onions until translucent. Throw in the minced garlic and saute for a minute. Next, add the diced potatoes and stir fry for 5-6 minutes so that it begins to brown. Add the chopped tomatoes and saute until soft. Next, add the chopped spinach along with salt to taste. Saute for around 3-4 minutes so that it wilts. Reduce heat and add turmeric, cumin, red chilly powder and coriander powders. Stir fry until the oil separates. Pour around two cups of water to the pan and add salt as needed. Cover and cook on medium heat for 8-10 minutes. Open the pan and add garam masala powder. Simmer for a few more minutes to obtain the desired consistency and then remove from heat. If the gravy appears thin, you can add 2 tbsp of cream.